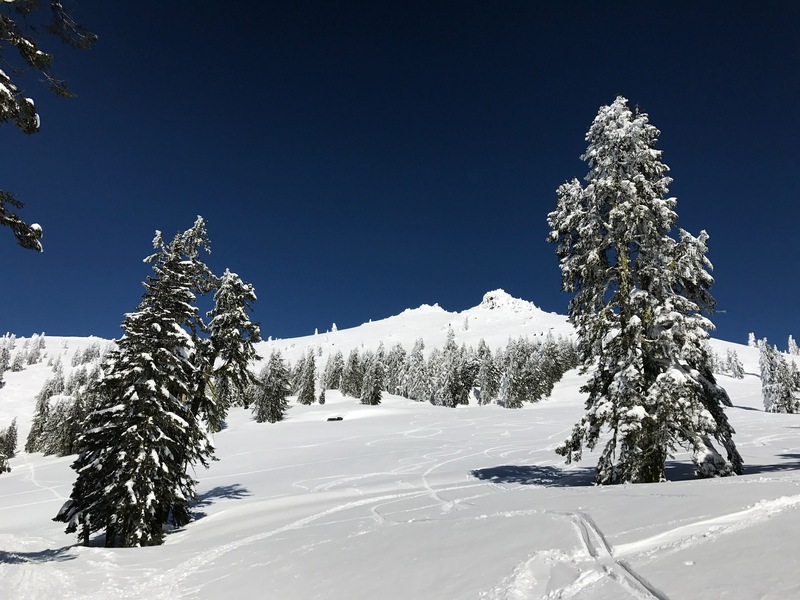 ﻿Like most of the West Coast, Southern Oregon has had one heck of a winter. While the excessive rain and snow have been great for our reservoirs, the seemingly never ending cold temps and gray skies have made for an unusually dreary winter. 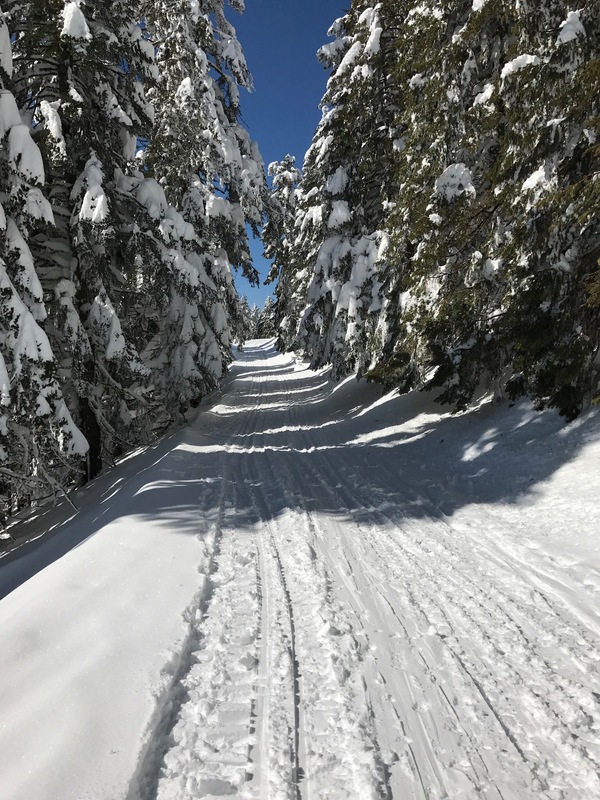 A quick check of the weather report last Monday promised a two day window of blue sky…just enough time for friends Judy and Chris to quickly organize a snowshoe trip with us to our neighborhood ski resort – Mt. Ashland. A service road leads below the back of the mountain and winds uphill, eventually revealing a 360 degree view at the top. As the day warmed up, we managed to stay just above the fog rolling in below. You guys worked up some internal heat as you all have your coats removed. It looks like great scenery and great exercise. I am glad you had a window of undreary weather to enjoy the outdoors. Spring is only 19 days away! YAHOO! Great photos. Glad you got some sun.